This year Animal Friends is marking World Vegetarian Day by launching the Veggie Challenge with which it invites citizens, until the beginning of ZeGeVege Festival from October 14-15, to become vegetarians or even better vegans. Applications are available at www.prijatelji-zivotinja.hr. 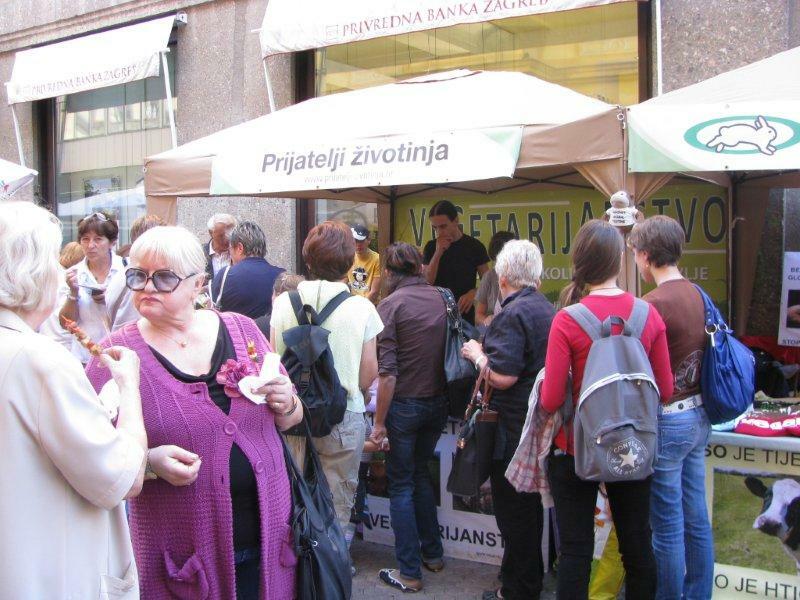 At the stalls on Saturday, October 1, in Varsavska ulica near Trg Petra Preradovica in Zagreb, everyone can apply for the Veggie Challenge, buy the newly published cookbook Mljac, watch the projection of the new short video "Meat Eats People" and at 12 noon everybody will be able to taste a variety of vegan dishes of tempting taste and smell of meatballs, pancakes, etc. The visitors of the event will also be able to inform themselves about the advantages of a vegetarian nutrition and sign the petition for the introduction of vegetarian meals into public institutions. 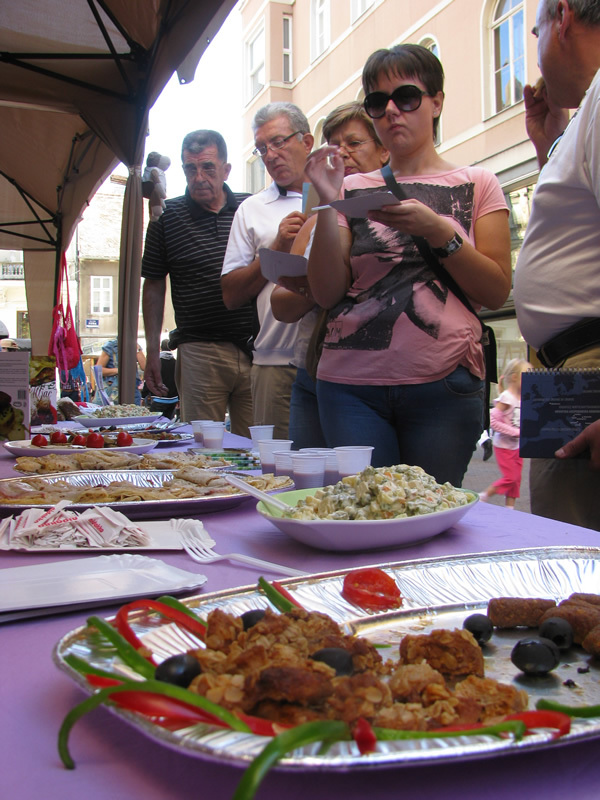 A tasting of vegan dishes will also be held at the same time in Marmontova ulica in Split. Under organization of the Farm Animal Rights Movement (FARM), World Farm Animal Day is celebrated on the birthday of the vegetarian Mahatma Gandhi to draw attention to the suffering of more than 60 billion cows, pigs, chickens and other sentient beings which are killed annually on farms and in slaughterhouses all over the world. On this day Animal Friends wants to make suffering and oppression of animals visible, which are the most institutionally abused and murdered. Traditionally, the City of Zagreb organizes the marking of World Animal Day by presenting associations, which will, this year too, be held at Bundek lake in Zagreb, October 2, from 10 A.M.-5 P.M. At the Animal Friends stall citizens will be able to get various free videos and printed materials, and sign current petitions. World Animal Day is celebrated since 1931, and October 4 is chosen because that day is Saint Francis of Assisi day, who was a vegetarian. This year it is marked in over 70 countries worldwide. 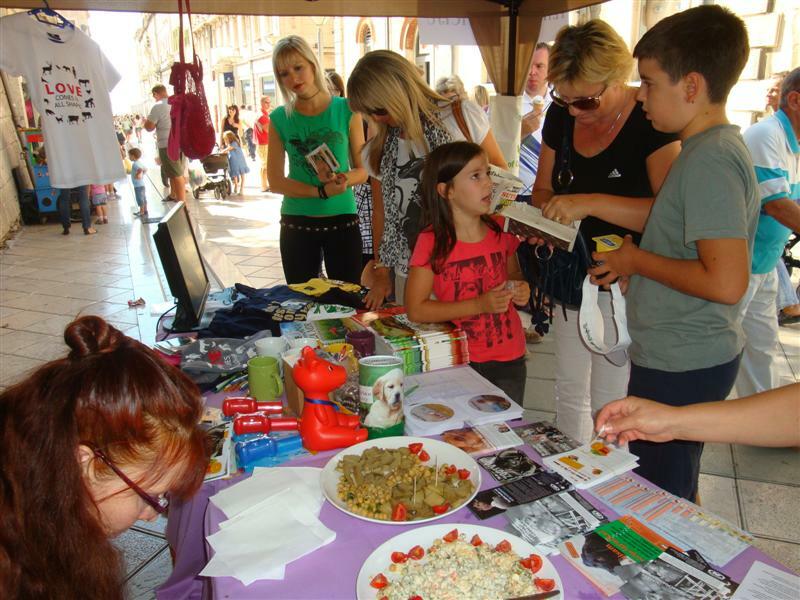 On World Animal Day, October 4, 9 A.M.-7 P.M., on Trg bana Jelacica In Zagreb, Animal Friends, Voice of Animals and the Shelter for abandoned animals in Dumovec will be available to all citizens. 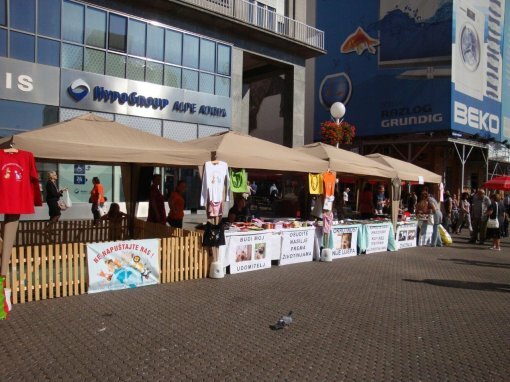 At their info stalls everyone will be able to take the so-called white list of products that are not tested on animals, other informative flyers and materials as well as free magazines. They can also sign petitions, adopt dogs and inform themselves about aspects of animal protection. The World Animal Day Ambassador of Croatia, Marta Susak, urges people to mark this day with their own commitment for the abolition of animal exploitation and suffering: "I send everyone the appeal to actively stand for the animals by adopting abandoned animals, reporting animal abuse and neglect, signing petitions, volunteering in animal rights and protection groups, using products that are not tested on animals, wearing clothes made of non-animal materials, stop visiting zoos and circuses with animal acts, to take up a vegetarian, or even better vegan diet… and that way directly contribute to creating a better world for all animal species." Marking the Animal Friends Days is simultaneously with the International Vegetarian Week from October 1-7, which celebrates a compassionate, environmental friendly and healthier food choice.